The trees are glowing, & the scenery is amazing! 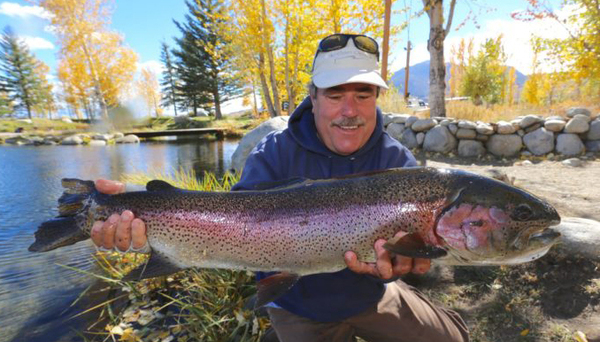 Fall is prime time to get that huge brown in the upper elevation alpine fisheries. I hear that a nineteen lb. 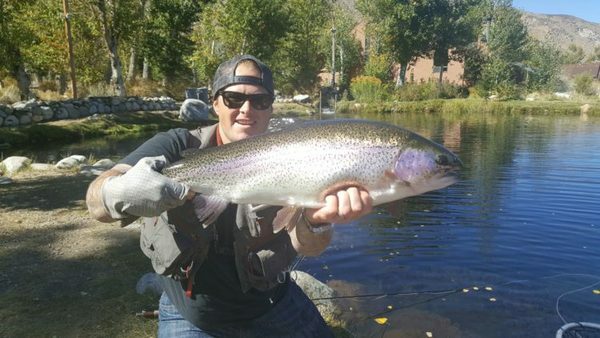 brown was C & R at Grant by a fly fisher! Reliable scoop too. Tubers trolling streamers with full sinking lines can get into some larger fish while targeting drop-offs, inlets, & structure. Agent Orange, Crystal Leeches, Loebergs, Spruce-A-Bu’s, and Punk Perch patterns are good calls to use along drop-offs, structures like submerged stumps, and near inlets. Try dry dropper rigs using hi-vis mayfly patterns as your indicator/dry fly while suspending a small midge, Killa-baetis or Assassin nymph below it 2-3 feet during low light periods. The wild brookies and browns can be fooled using this technique during the warmer summer months.